This chapter is intended to describe a practical approach for the practitioner—community college chief executive officer (CEO), or chief financial officer (CFO), and other administrators who have major responsibilities for creating and monitoring operating budgets and financial operations. Properly deployed, budget development and management is an indispensable component of an improved financial model. These ideas are being presented for now, and for the future, as colleges are increasingly challenged to balance their operating budgets while serving the needs of their students and community. It is also written for many others who are involved in, or are interested in budget and financial decisions. It presents common errors of current budget planning models, with a practical approach of how to avoid these mistakes, and what is required for a new model. An attempt is made to answer questions of what to do, when, by whom, how it should be done, and why. This approach emphasizes annual and multiyear budget planning models, multiyear revenue and expenditure forecasting, assumptions that lead to decisions, and the need to monitor revenues and expenses, evaluate results, and reexamine the accuracy of your assumptions on which your financial projections are based. 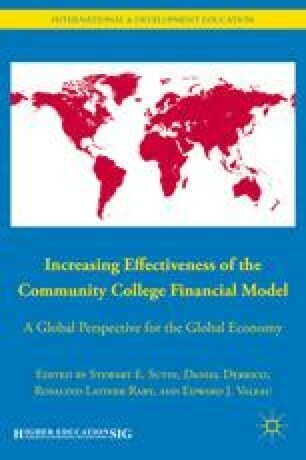 The chapter is presented in a manner that would be applicable to any public community college of any size or location.